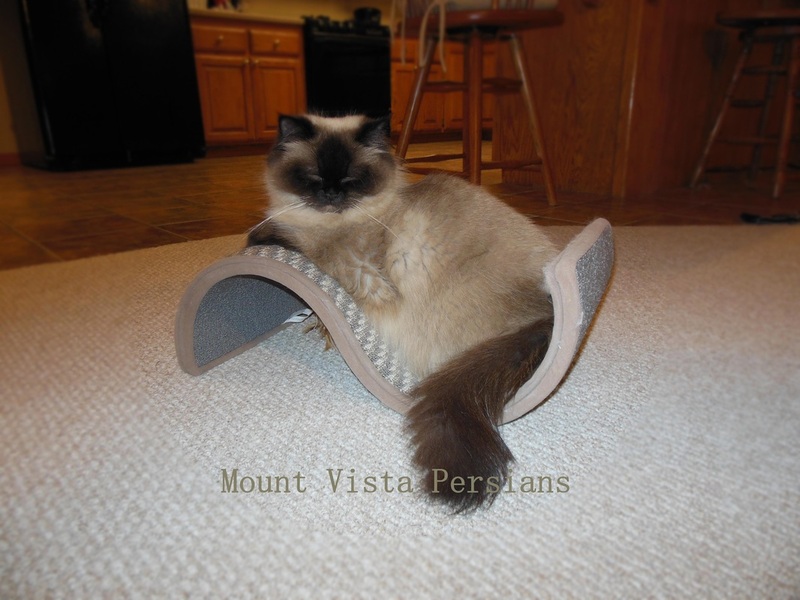 Is your kitten scratching your furniture? Your kitten can easily be trained not to scratch your furniture. Even with weekly trimming your kittens claws, they will still have the desire to scratch. They need to be taught where their scratching areas are, and where they are not. I use the products pictured to the left. I bought mine at Wal Mart. The tall bottle is a "Training Spray". You'll spray this on the NO SCRATCHING areas. The kitten will not like the smell of the spray. You will have to repeat often. The shorter bottle is "Catnip Spray". 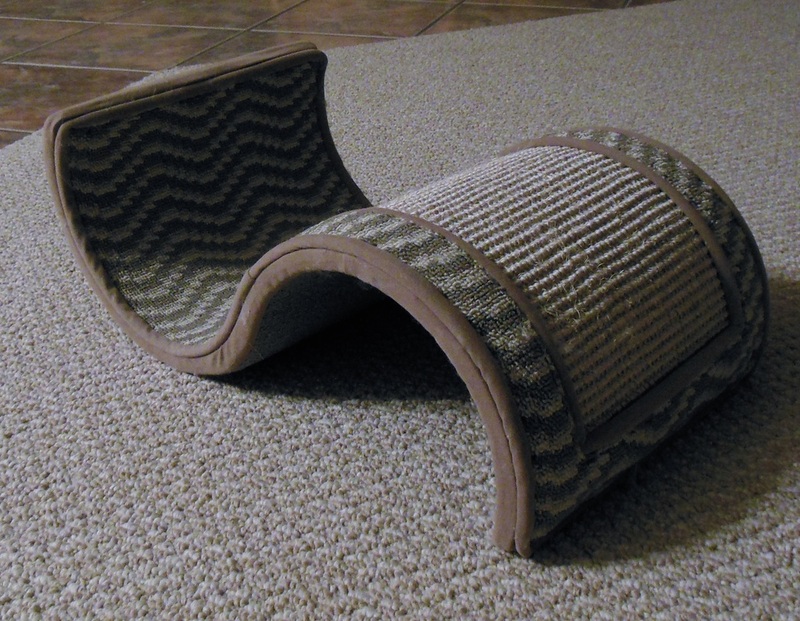 Spray catnip on their scratching posts, cat trees, and other areas you will allow them to scratch. The kitten will be drawn to the catnip smell. 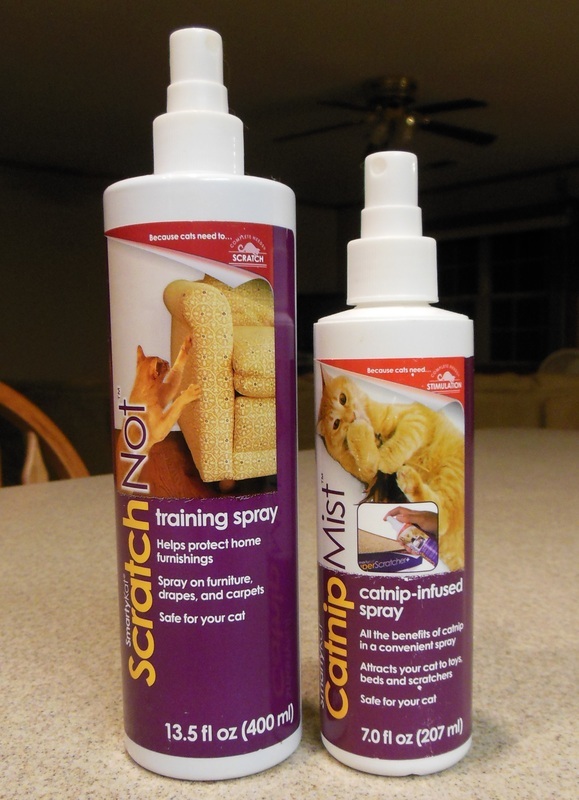 Using these two bottles consistently will, over time, train your kitten and save your furniture. Never scold your kitten for scratching. Calmly and quietly teach them with these two training sprays. We have several of these (pictured on the right). Our cats love to scratch on them, as well as nap on top and underneath.